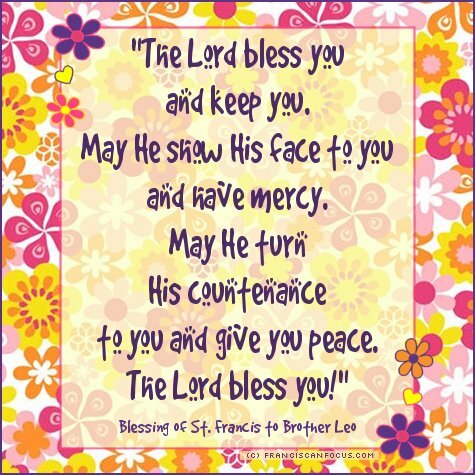 Franciscan Focus: The Lord bless *YOU*! I've always loved this blessing of St. Francis to Brother Leo, which is based on Numbers 6:24-26. For fun, earlier this evening I decided to play around and make it into a graphic. What ya think?